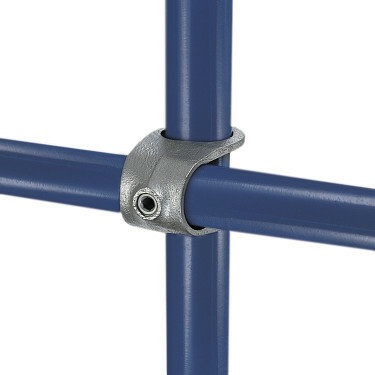 Designed to give a 90° crossover joint. 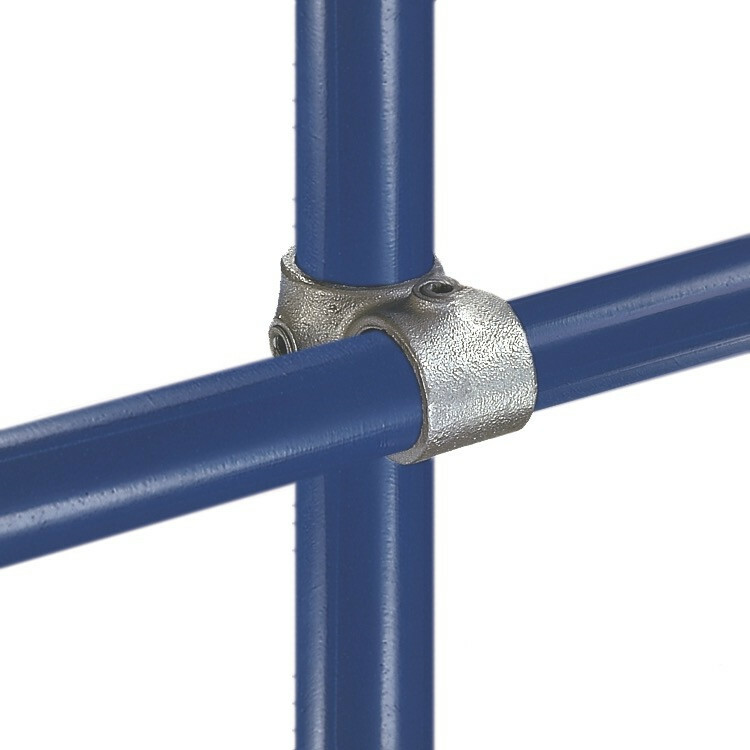 Frequently used on safety railing where, to reduce cost by minimizing the pipe cuts, a continuous horizontal rail is used. 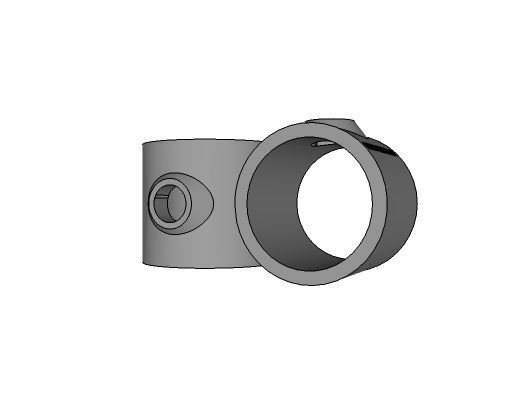 Pipe cannot be joined within this fitting. It may also be used to give intermediate levels on racks etc. when horizontal ties between uprights are not required.